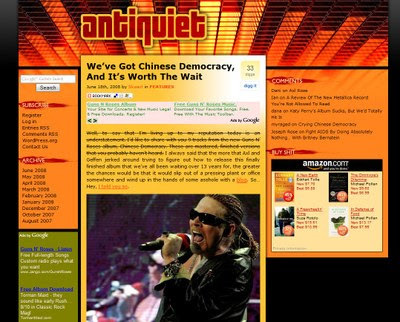 On or about June 18, 2008, defendant received unauthorized copies of songs purporting to be nine musical tracks from the album Chinese Democracy performed by the rock bank Guns N’ Roses. A valid United States Copyright existed on each of the nine songs of the Chinese Democracy album, which on June 18, 2008, had not yet been released but was being prepared for commercial release by Guns N’ Roses and Universal Music Group’s Interscope-Geffen-A&M records (the record label). laws, and he was aware that he did not have authorization to upload the songs over the Internet and that to do so was illegal. To view the rest of the documents click HERE.